Ardmore has a population of 12,400, a median income of $106,000 and an average home price of $330,000. It was originally named Athensville and is one of the only Main Line towns without a Welsh name. Ardmore has a thriving business district anchored by Suburban Square, built in 1927 and described for years as the nation’s first shopping center. With charming village atmosphere, it serves as the area’s premiere location for shopping and dining but also increasingly serves as a destination for community gatherings. Ardmore Homes South Ardmore is peppered by attached homes and smaller single family houses. It is home to beautiful parks (one brand new), a community pool, and a new elementary school. 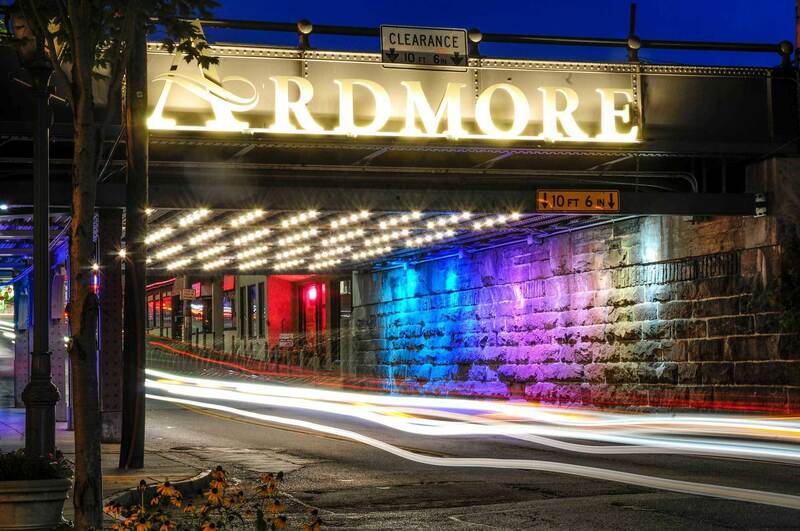 Northside Ardmore and Merion Golf Manor are the town’s prestigious, wealthy neighborhoods, featuring Main Line luxury homes, and historical, multi-acre estates, many of which date back to the Gilded Age. Most of Ardmore is served by the Lower Merion Township school district and a smaller portion is served by the Haverford School District. Ardmore was designated as Money Magazine’s 12th Best place to Live in 2011. First Friday features live music and art shows in Ardmore, Haverford, and Bryn Mawr. With many colleges located nearby, residents of Ardmore have a wide and ever-expanding array of educational, cultural, and recreational offerings.